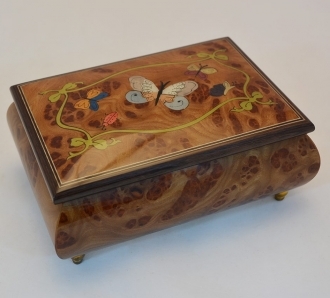 This is a beautifully inlaid music box. 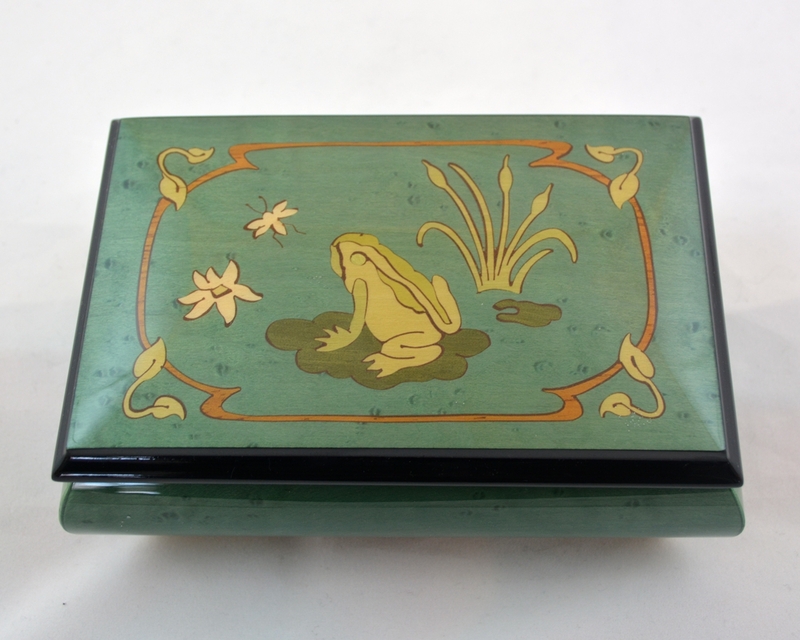 The whole box is hand painted in green gloss. 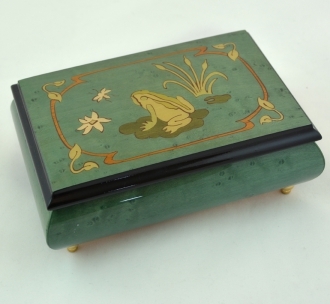 On the lid, an elaborately detailed inlay of a frog in a pond is displayed. 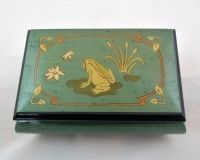 This is supposed to be the famous frog prince of the fairy tales waiting to be kissed by his princess. 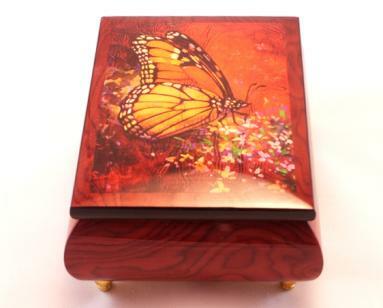 The expert inlay techniques used by the traditional Sorrentine artisans make this look like a painting. 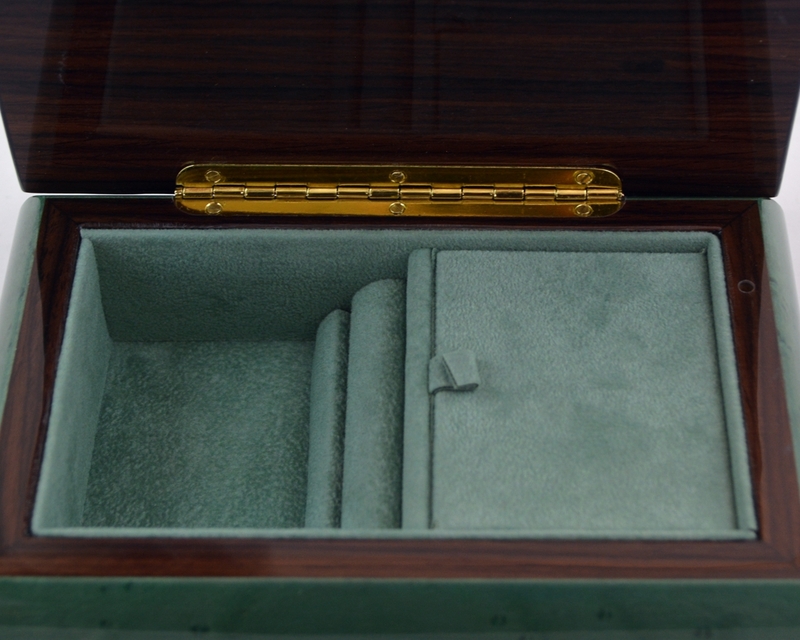 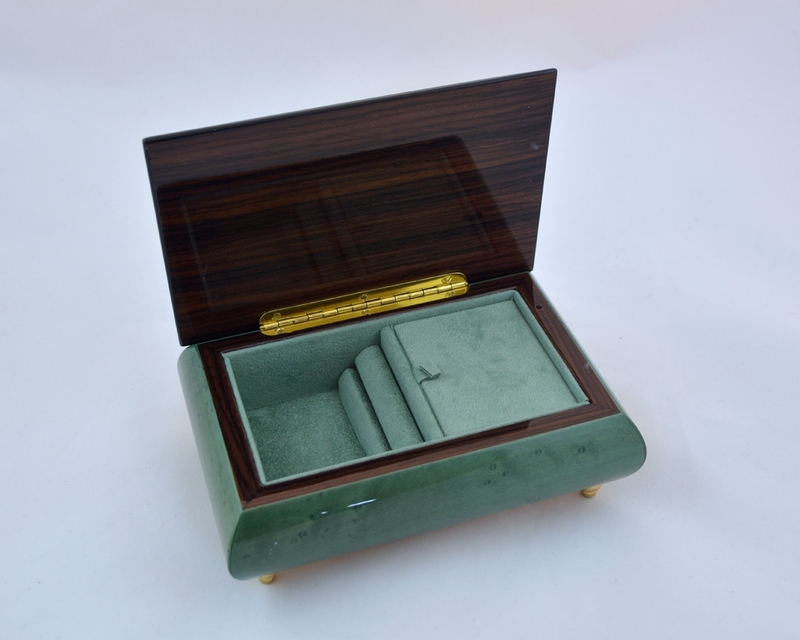 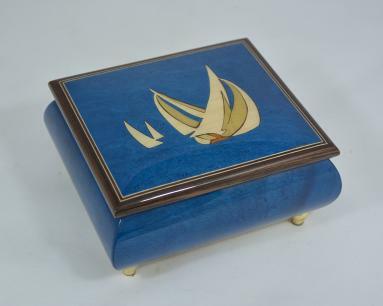 The inside of the box is fitted with a jewelry compartment lined with soft velvet. 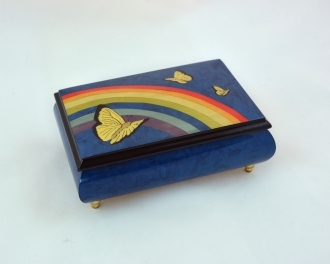 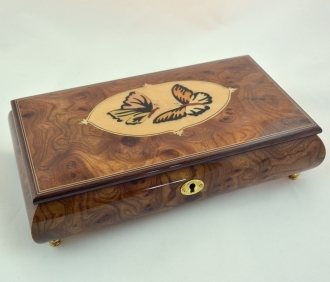 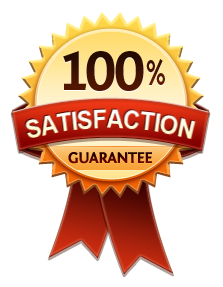 This Sorrento music box can be used as a great gift.